We build a lot of flagstone patios. I think they’re popular because they have such a nice, natural rustic look, but they’re a hearty stone and stand the test of time. We work with a lot of colors but recently one of the colors that a lot of customers seem to gravitate to is Oklahoma Buff Peach. 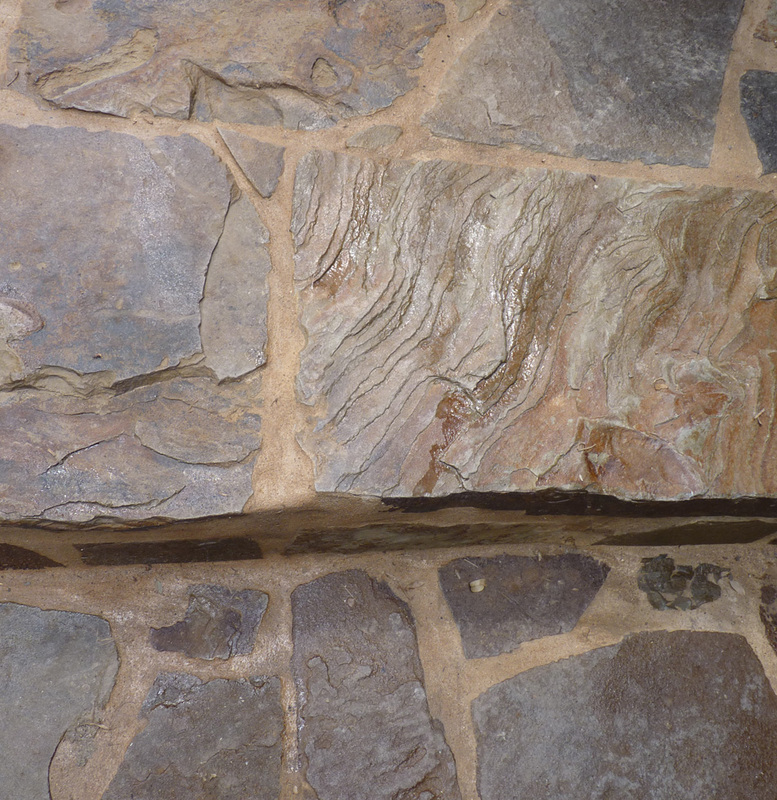 Flagstone is a naturally occurring stone so that adds to the natural feel. The naming of the colors represents two things. First, you will note that state name in the color. That really does indicate where it is sourced from. The rest of the color name represents the overall color impression and the variety. For example, Oklahoma buff peach is subtle with a lot of buff and taupe tones. On the other side of the range is a mild peach tone. You can imagine that the shades in between make for a very subtle combination. Another really hot one right now is Oklahoma Chocolate Gold. This brings to mind very rich variations of stone color from a deep brown to the golden warm colors. The shade shown on the right above is the chocolate gold. You’re seeing a close-up there so here is a look from a little bit farther away so you can see how the color combination blends from chocolate to gold. Please send along questions or comments or thoughts. I love working with flagstone and love talking about ideas for building using flagstone. This entry was posted on September 16, 2010 by austinporchandpatio. It was filed under Flagstone, Flagstone Patios, Oklahoma Chocolate Gold, Patios and was tagged with Austin flagstone patio, Austin Oklahoma Buff Peach flagstone patio, Oklahoma chocolate gold flagstone patio.